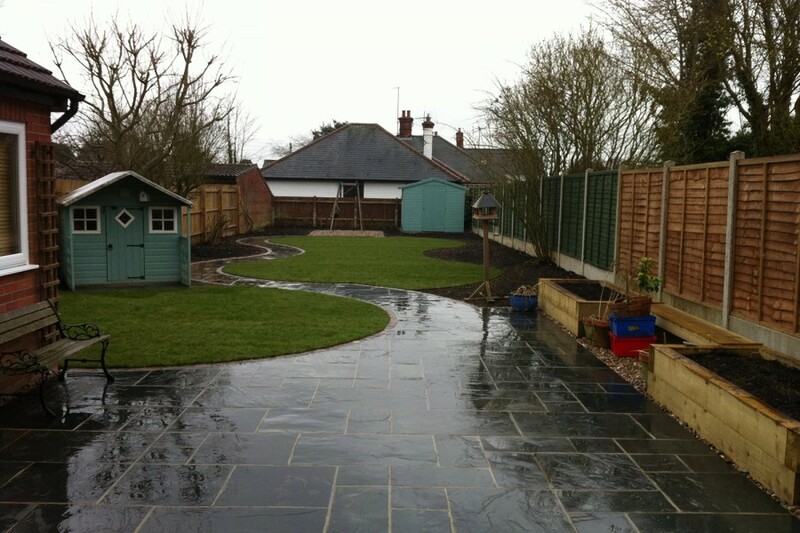 Work began with the hard landscaping on this project. 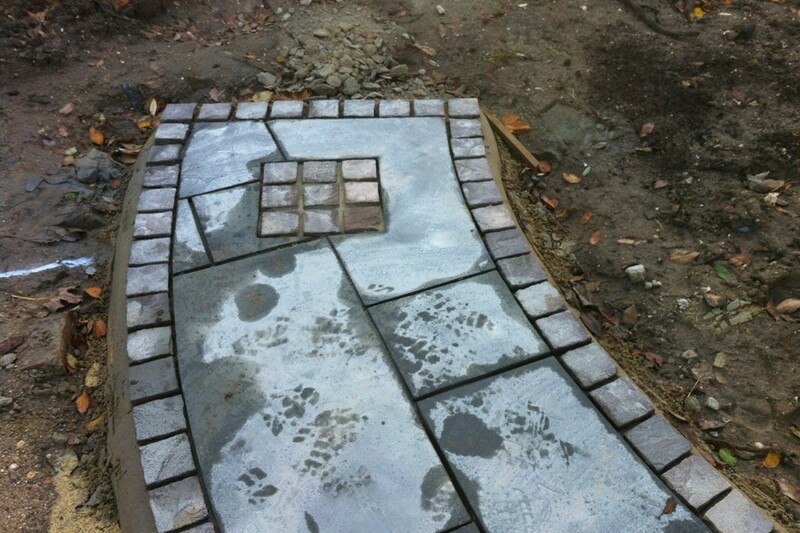 The patio is black slate edged with sandstone cobbles, and the end of the path was marked with a full stop made from cobbles. The bench at the far end acts as a focal point. 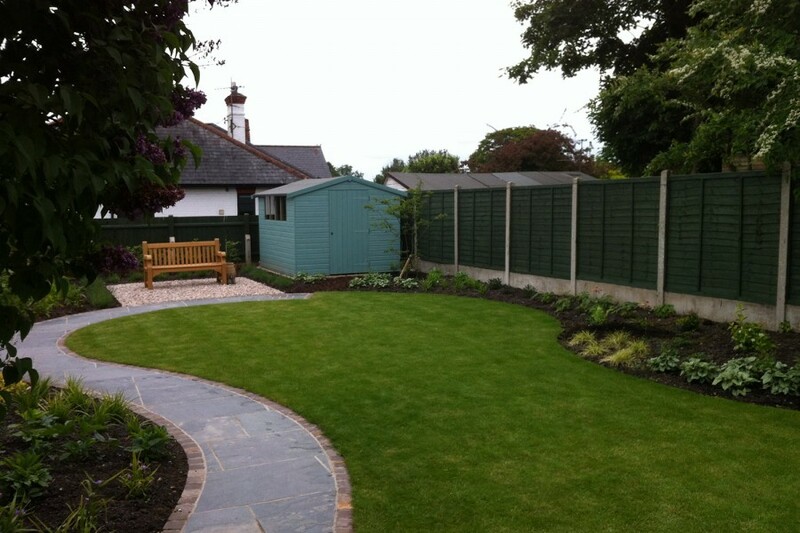 Freshly turfed lawn was then installed. 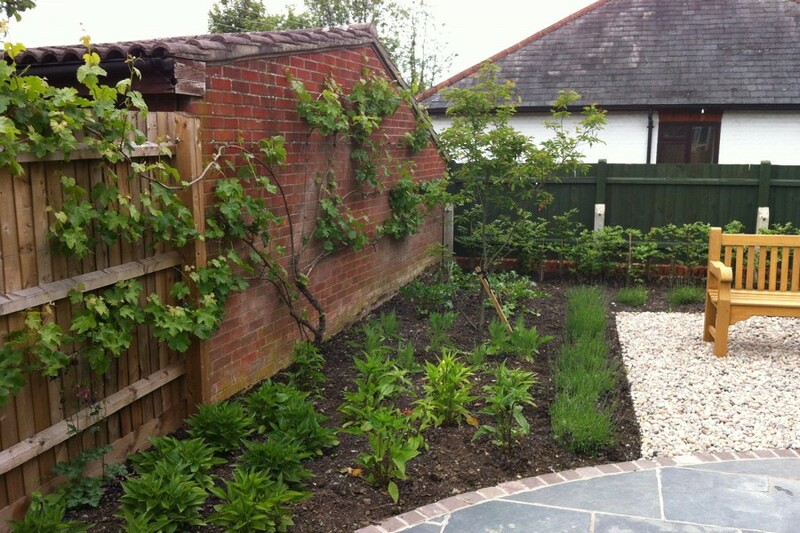 Soft woodland planting was added under an established Lilac tree. 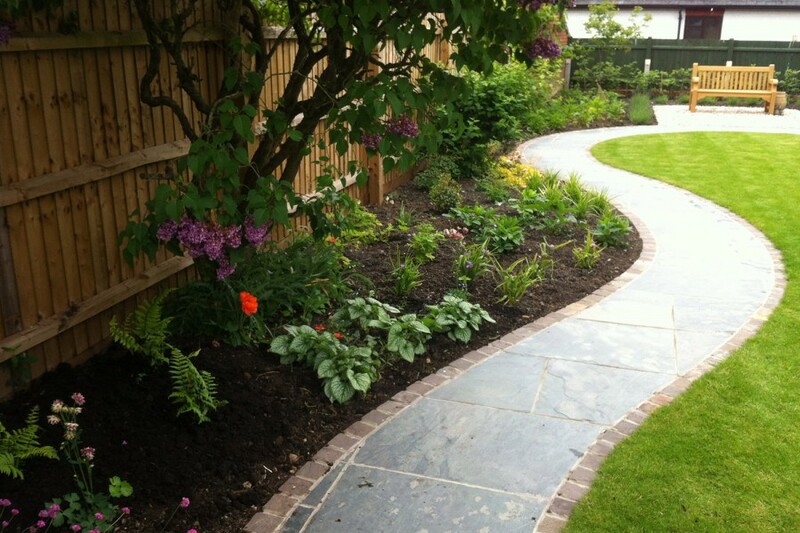 Plants used include Brunnera, Tradescantia and Ferns. In the sunniest spot of the garden, the planting here was designed to be colourful and high impact. 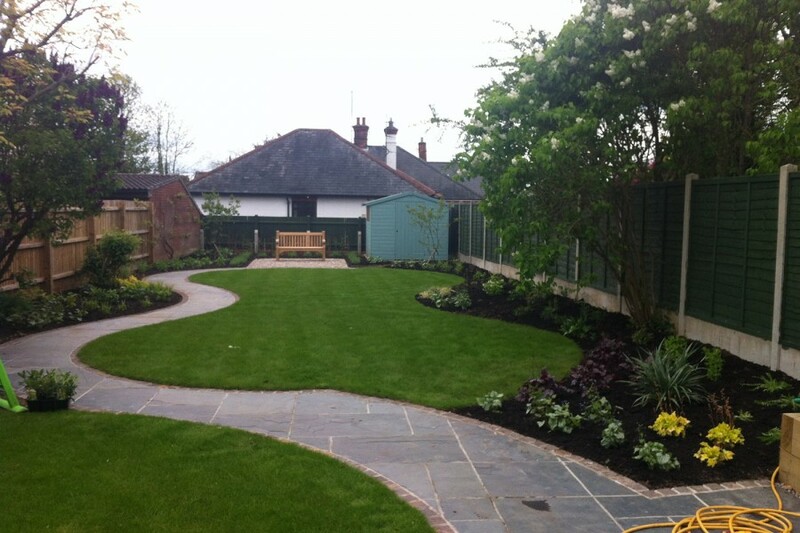 The plants used are Echinacea, Rudbeckia, Achillea, Acanthus, a Lavender hedge and a Beech hedge at the rear. 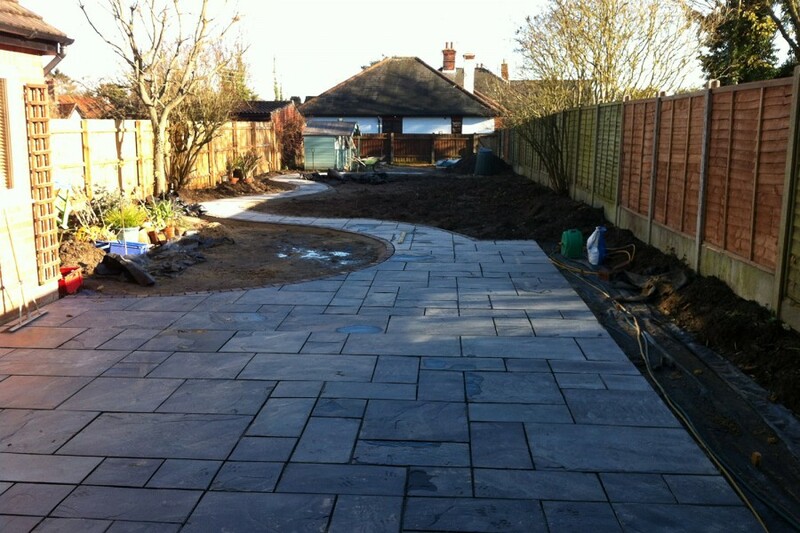 Hard landscaping including a black slate edged patio edged with sandstone cobbles. Seating acting as a focal point. Woodland planting and high impact colourful plants added.